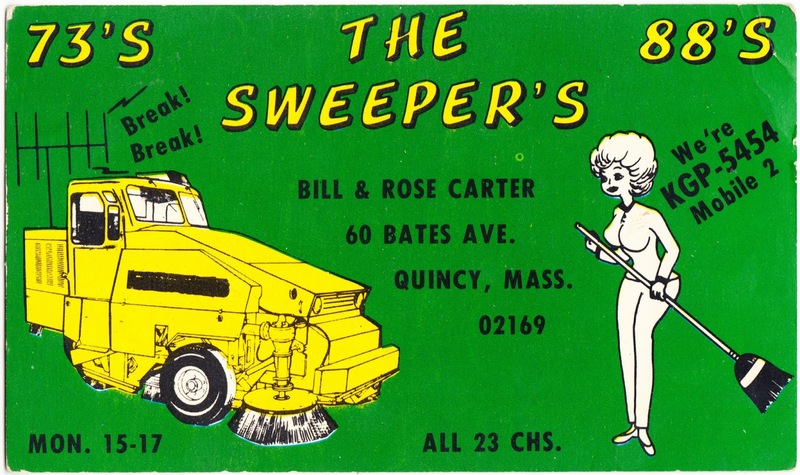 This old QSL card for "The Sweeper's" — Bill and Rose Carter of Quincy, Massachusetts — was never used. So I wrote a short note on the back and am putting into the mail, addressed to the "Current Residents" as the street address printed on the card. Hello! Just for fun, I thought I'd mail this old ham radio QSL card back to its former home. Not sure if the Carter family still lives there or not. Contact me at chrisottopa@gmail.com and/or see my blog — www.papergreat.com. Now we can just sit back and see if anything happens! Are you tingling with excitement?? oooh...it's like a message in a bottle! I can't wait to hear how it turns out.